Editor’s Note: I thought the following article from Mike Adams of Natural News sheds an accurate light on this particular tragedy and the other mass shootings across America. In tragic mass shootings involving guns and mind-altering medications, politicians immediately seek to blame guns but never the medication. Nearly every mass shooting that has taken place in America over the last two decades has a link to psychiatric medication, and it appears the recent Newtown event is headed in the same direction. According to ABC News, Adam Lanza, the alleged shooter, has been labeled as having “mental illness” and a “personality disorder.” These are precisely the words typically heard in a person who is being “treated” with mind-altering psychiatric drugs. One of the most common side effects of psychiatric drugs is violent outbursts and thoughts of suicide. The Columbine High School shooters were, of course, on psychiatric drugs at the time they shot their classmates in 1999. Suicidal tendencies and violent, destructive thoughts are some of the admitted behavioral side effects of mind-altering prescription medications. No gun can, by itself, shoot anyone. It must be triggered by a person who makes a decision to use it. 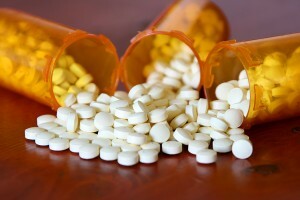 After all, medication alters the mind that controls the finger that pulls the trigger. The saying that “guns kill people” is physically impossible. People kill other people. If there is to be any legitimate debate on so-called “gun control” in the aftermath of this shooting, the only idea that makes any sense at all would be to restrict gun purchases by people currently taking psychiatric medications. But even that restriction would of course be abused by the government to take guns away from perfectly healthy, law-abiding citizens who innocently seek treatment for mild depression and who honestly have no clue that psychiatric drugs can cause violent behavior. A far better solution here would be to outlaw psychiatric drugs that cause the violent behavior in the first place. After all, if you only outlaw guns but fail to eliminate the drugs that cause the violence, people dosed up on mind-altering meds will simply find alternate weapons to commit the same acts of violence. I have thought for quite some time that people on medication are dangerous operating automobiles on public roads. If driving drunk is illegal, why isn’t “driving on meds” illegal? Why are wildly medicated people allowed to operate heavy machinery? A high-ranking police officer in Tucson, Arizona once told me, on the record, that one-third of all automobile accidents in the city of Tucson were related to medicated drivers. That’s an astonishing number, and if true, it would seem to indicate that medications are more dangerous than guns when it comes to the total daily body count. Medications kill roughly 100,000 Americans each year according to statistics. The actual number is either 98,000 or 106,000 depending on which study you believe. For guns to be as deadly as medications, you’d have to see a Newton-style massacre happening ten times a day, every day of the year. Only then would “gun violence” even match up to the number of deaths caused by doctor-prescribed, FDA-approved medications. If our goal is to stop the violence in America, we are completely dishonest if we do not consider the mental causes of violent behavior. And that starts with mind-altering psychiatric drugs which I believe have unleashed a drug-induced epidemic of violence across our nation. Obama, Bloomberg and others will point to guns and try to convince you that inanimate metal objects are the cause of this violence. No guns shoots itself. 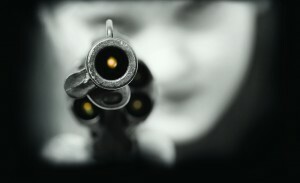 The trigger must be pulled by someone, and the mental state of that person is the primary cause of the resulting action. To ignore this fundamental chain of facts is brutally dishonest.